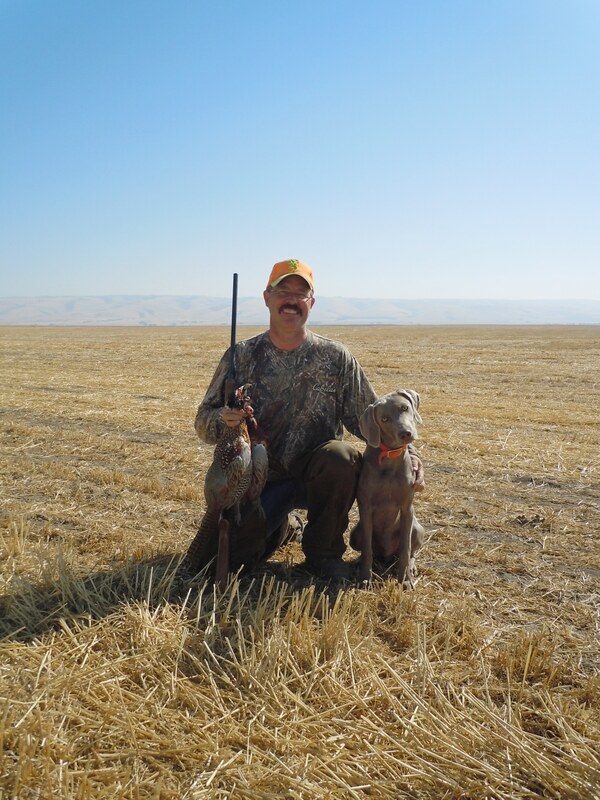 We just finished our first pheasant hunt with Ruckus (second season for Vixen). 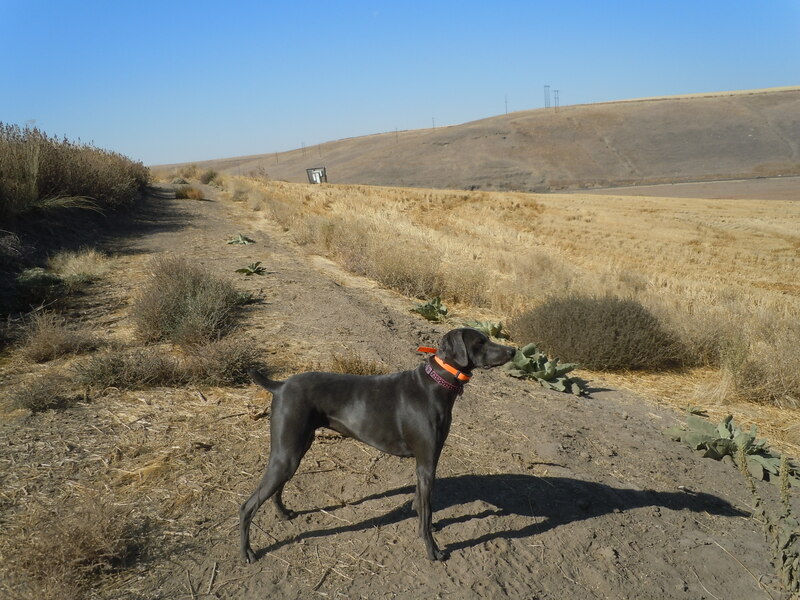 Just wanted to let you know how pleased we are with Ruckus’ first day “live in the field”! He did excellent! He pointed a bird for Greg, held it, and Greg got it. Still a little weak on the retrieve, which we were surprised about because he has been doing so well with dummy birds etc. But there were other dogs near and he might have been a bit distracted. But Greg is just so excited! Ruckus loves to hunt and to get loves……..
Vixon, a blue huntress and lover girl…..
Vixen did well too. She tends to stay close to me when I hunt with her, but she does get on birds. I’m sad to say she actually hunts better for Greg! …. but she’s still “my girl”. 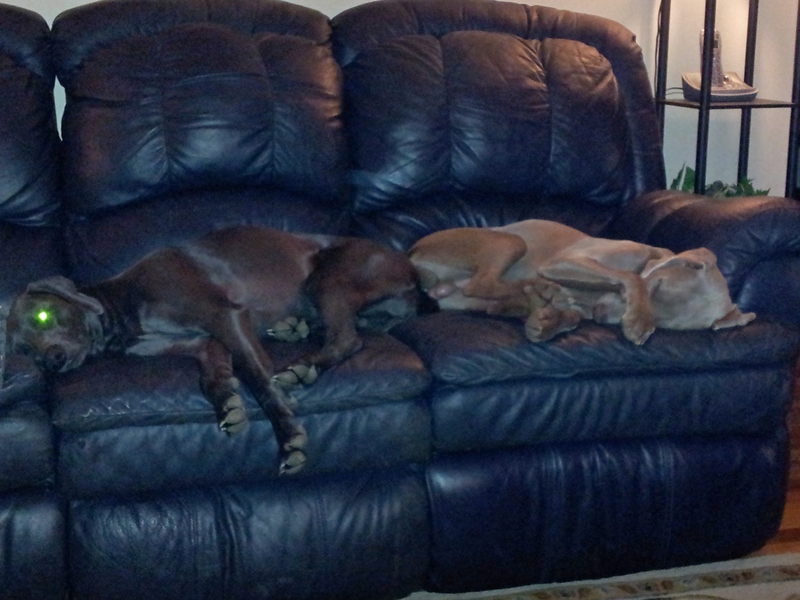 Anyway…here are just a few pics of today’s hunt and then resting on “their couch” after a long day! Breeder’s Note: Vixen is from a mating between BooKoo and Zee. We tried two litters, and both times we got two pups. We retired BooKoo and she now lives in the lap of luxury with Roger and Jean (long-time friends). time friends). The other three pups are noteworthy. 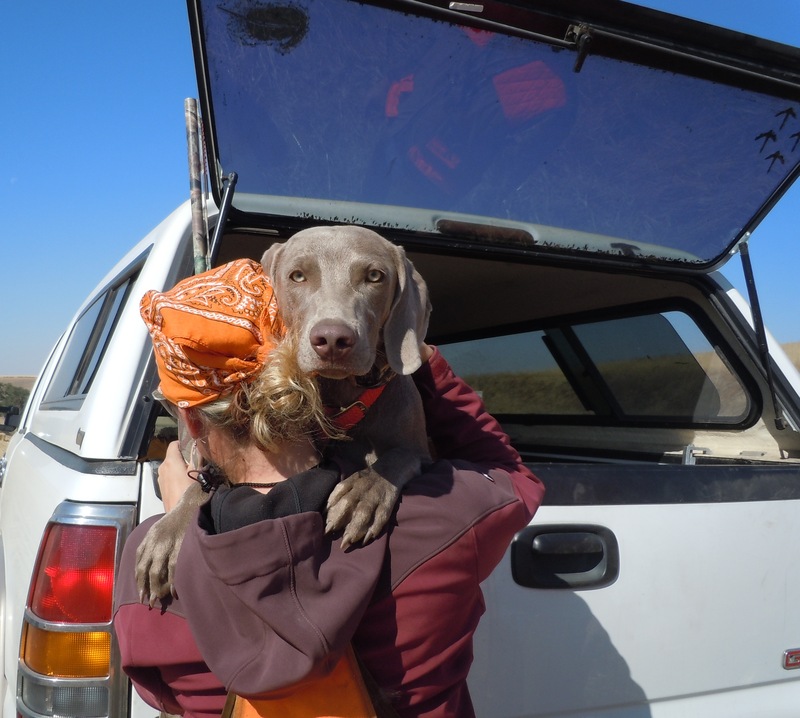 There is Bolt (originally we called her ZeeBolt) and she now resides with a Weimaraner breeder in the UK on a shoot preserve. She has produced a lovely litter earlier this. 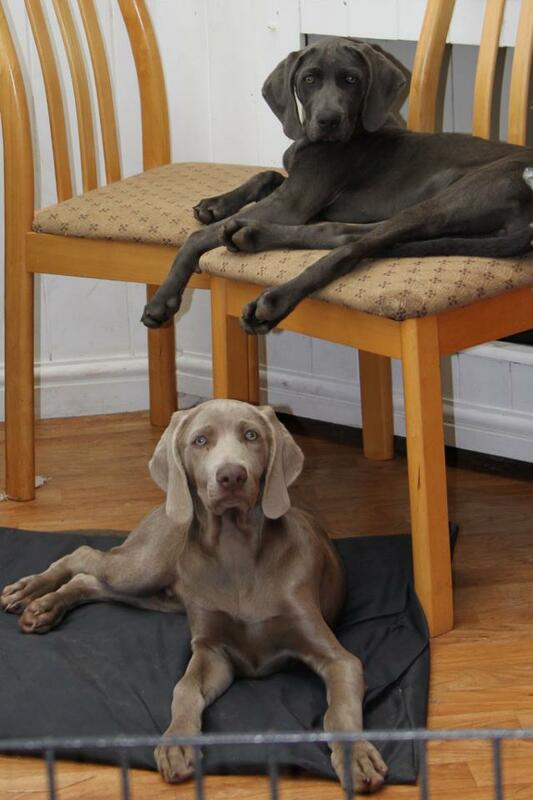 Bolt (as she is called) is blue, but she had a silver gray sister–ZeeBella. We still have ZeeBella, and we have tried to mate her a couple of times with no luck. She is a year older than Vixen, and from the first litter. The second litter produced Vixen and Ace. Ace lives in Michigan with a friend of a friend–a hunter. Here is a photo of two of the pup from Bolt’s 2012 litter. We have mated ZeeBella to Stackhouse and we believe we will get a litter this time. We are excited for the potential pups.